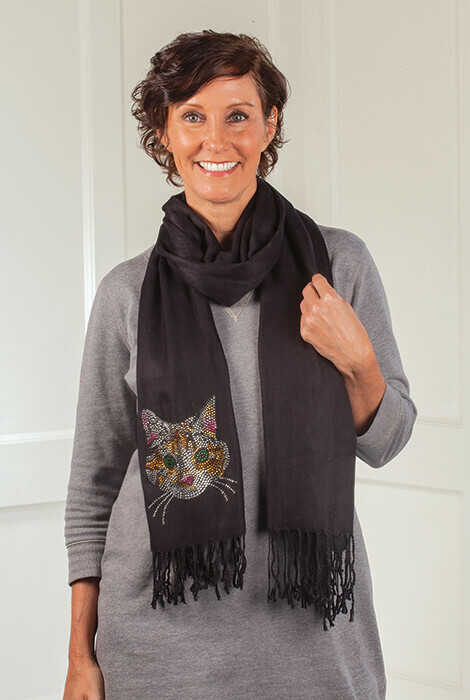 Cat lovers of all stripes will purr for this cozy pashmina cat scarf. The bejeweled imagery proclaims your love of felines along with your unique sense of style. Pashminas are the perfect flexible fashion accent, changing function from scarf to wrap depending on your ensemble. Get ready to attract attention with this dazzling, creative accessory.